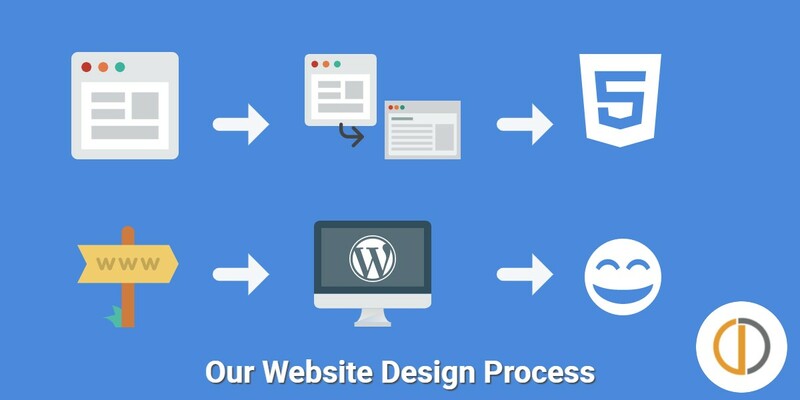 Getting a new website or having a redesign can be a really complex process even if you have already done one in the past. Because of this, we decided to pull back the curtain on our VIP Website Design Process and let you know what the different phases are that we use. PLEASE NOTE: Within each phase, there are certain tasks that must be completed on both sides, the client side (you) and the vendor side (us), prior to moving to the next phase of our VIP Website Design process. If the tasks are not completed, then the project will stall and the entire process will come to a standstill. Because of this, we send out regular updates and reminders to keep everyone on the same page. The onboarding portion of this phase is all about setting your VIP Website Project up for success so we can make sure your new website is delivered to you on schedule. To make sure that we don’t miss any requests, important updates from you, or information you send us, we use HelpScout to track everything. As we complete the onboarding phase you’ll be all set as we move forward. The design portion of this phase is always exciting because you get to work with our design team headed by Tiana to get your ideas to come to life right before your eyes. You will have a design session where your new logo, colors, and overall look and feel will be decided as well as what pages will be on your new website. Unless otherwise specified in your agreement, 10 pages have been allotted for. During this phase, you’ll get to see for the first time what your new website will look like. We do another online meeting to review your website. These are only images so we can make quick changes or tweaks to your design and get on to coding (building) your site for you. It’s normal to have 2-3 revisions during this time so we can make your website awesome for you. If this is a brand new website, or if we are creating pages that are not already on your website, then we will be asking you for written content. This will depend on what types of pages will be built on your website. If you have questions about this, now is the time to ask. If we have the written content by the time we are building your website, then we make sure that everything is formatted correctly for you. This is where the rubber meets the road. After we get the final version of your website design, then we are able to start building out your custom theme. We no longer use 3rd party themes or frameworks to build child themes for your WordPress website. Because of this, we are able to create a more custom and unique website just for you. If you have a really custom functionality such as ecommerce or a membership site then this phase can take longer. For most of the website that we build this phase will only be 3-4 weeks. When the website is functional and on our staging server we will have another meeting with you and walk through to make sure all the functionality is performing the way that you expected. After this, we will prep the site for deployment to your hosting. Which means that we will get your new website ready to move to the domain that you purchased. After your new website is live on the internet for everyone to see then we have an extensive QA process, quality check, we go through every page and the backend admin area to make sure that everything is working properly. After we have gone through the QA for your website that is when your 60-Day Bug Free Guarantee begins. We have an extensive quality assurance process, but that doesn’t mean things won’t occasionally change. The WordPress Core team and plugin owners constantly make updates to their work which is why we offer a 60 day Bug Free Guarantee as our warranty. If you are looking to use a team of experts to build your traffic, leads, sales, then reach out to us and ask about the same marketing strategies we used to get you here. We can help you grow your business as well. Click here to schedule a discovery call to turn on your marketing for your business.